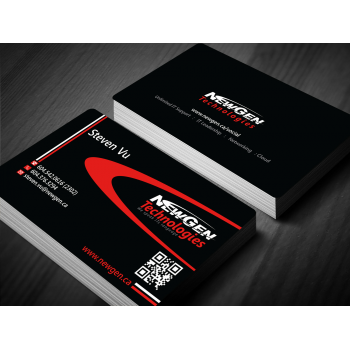 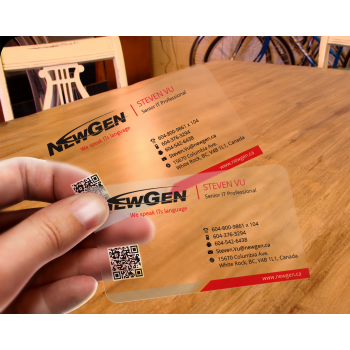 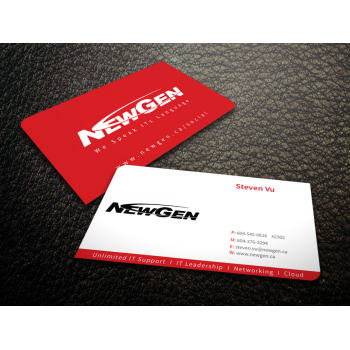 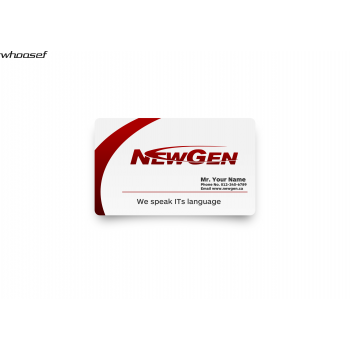 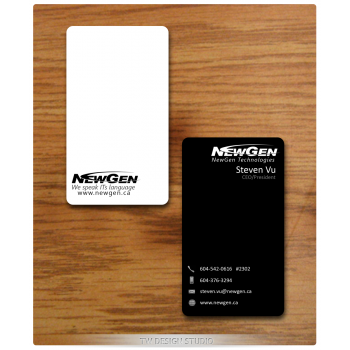 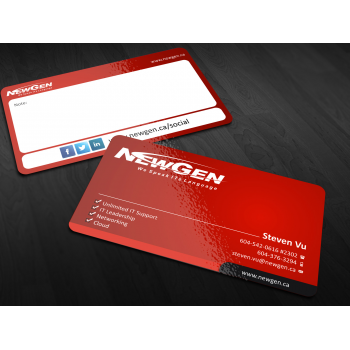 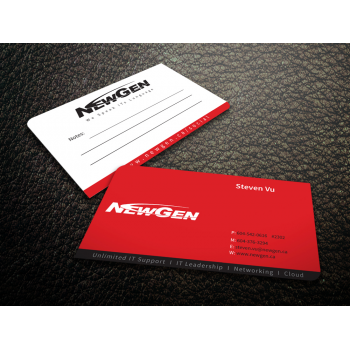 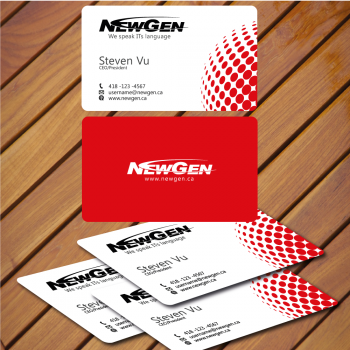 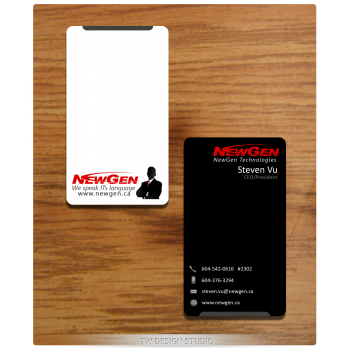 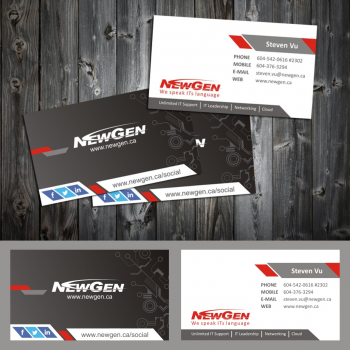 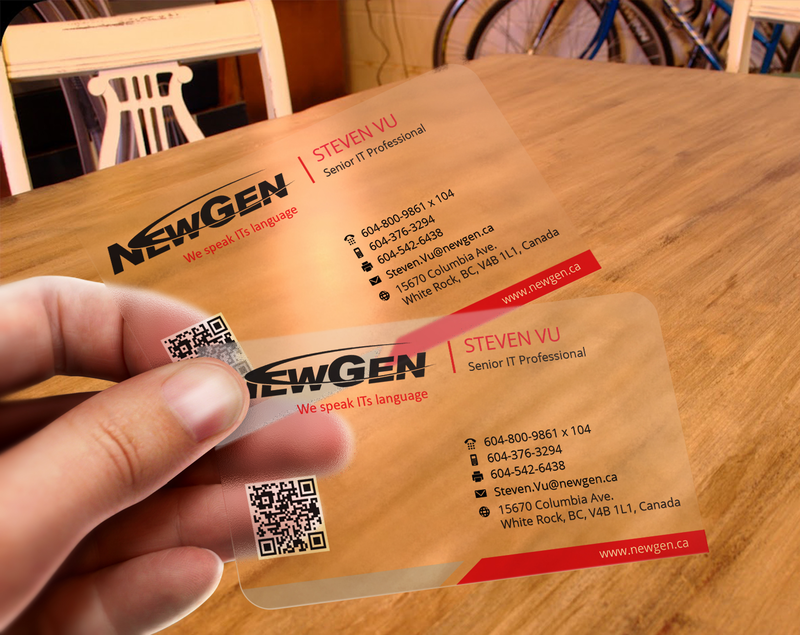 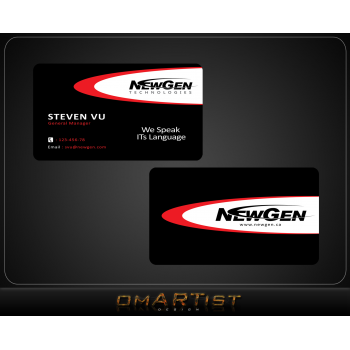 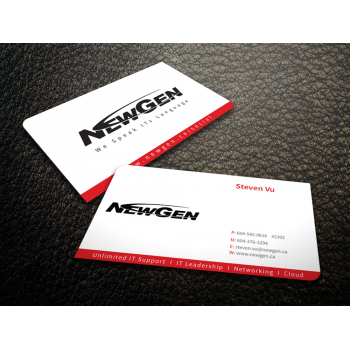 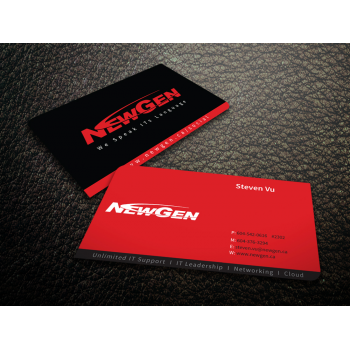 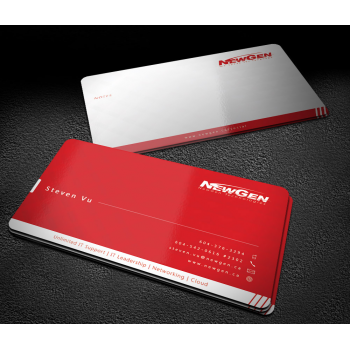 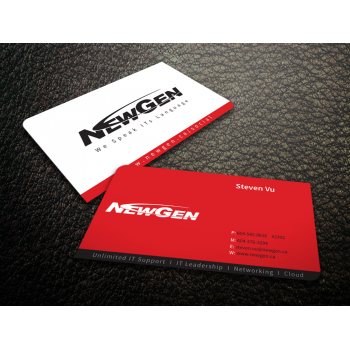 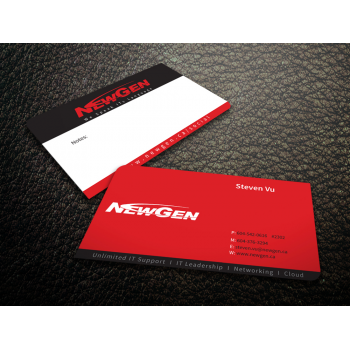 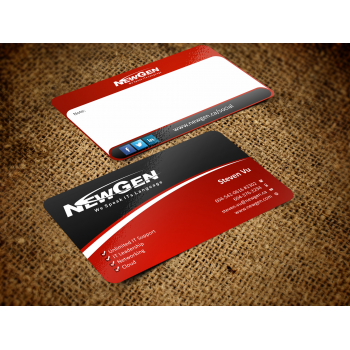 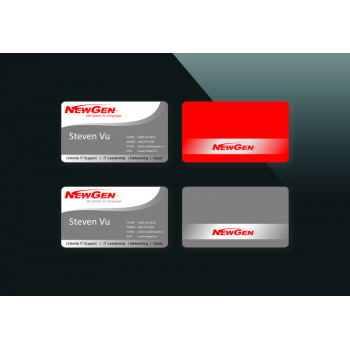 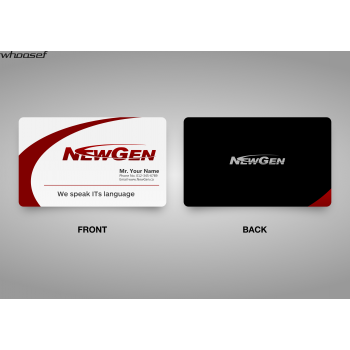 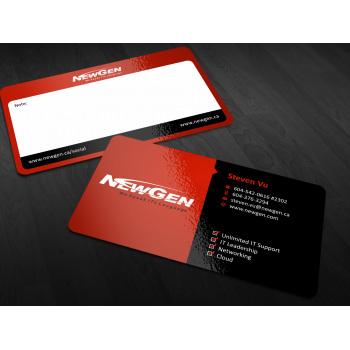 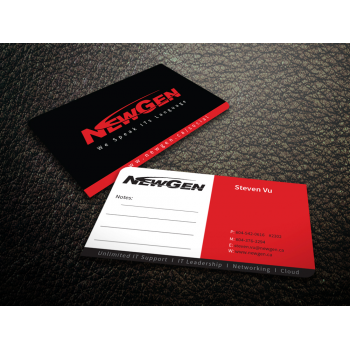 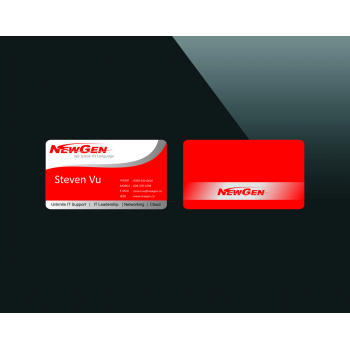 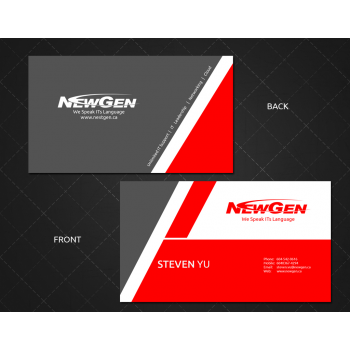 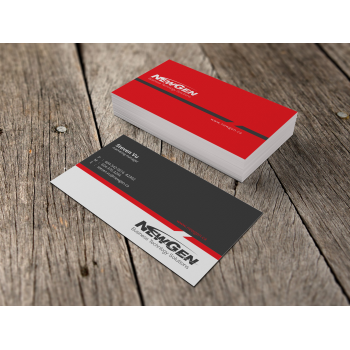 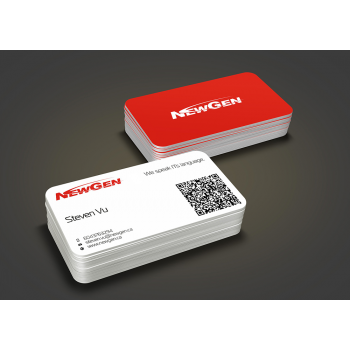 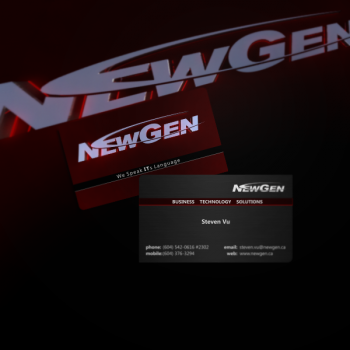 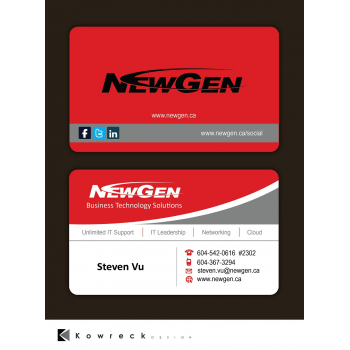 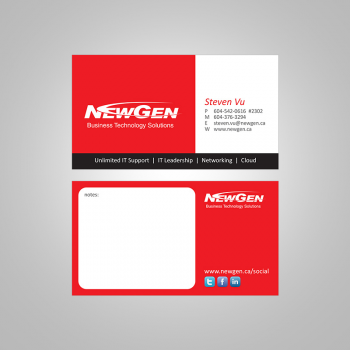 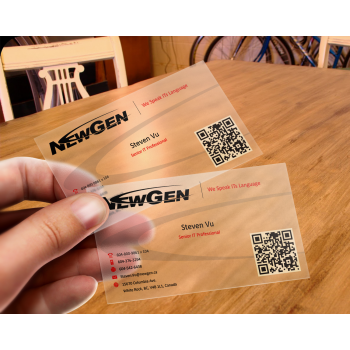 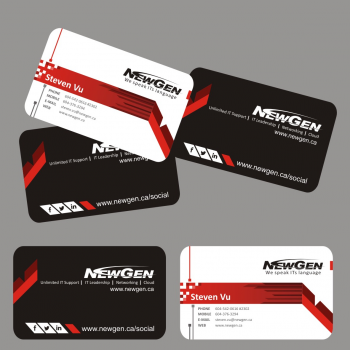 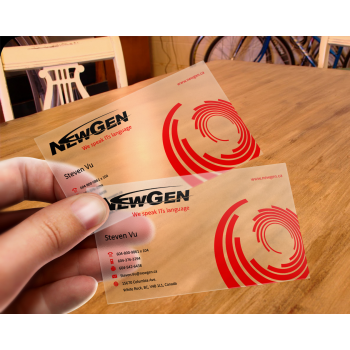 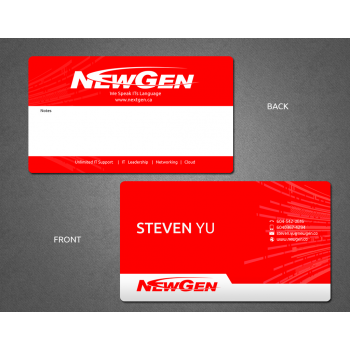 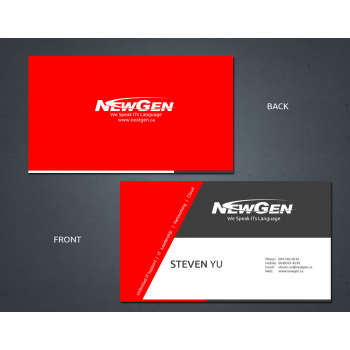 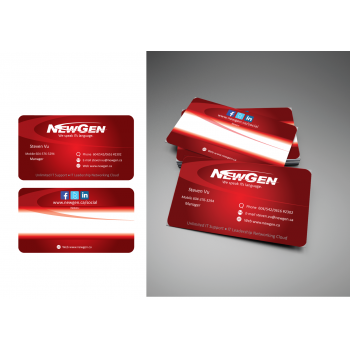 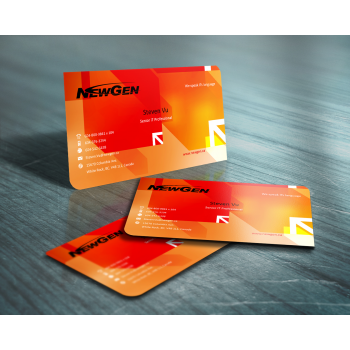 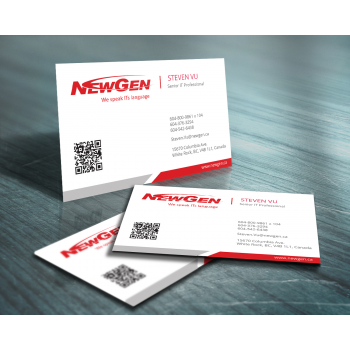 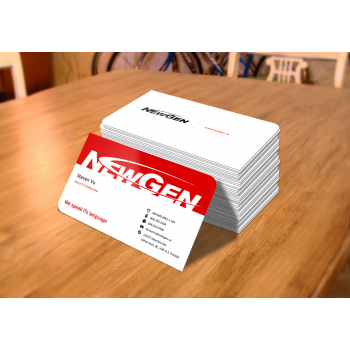 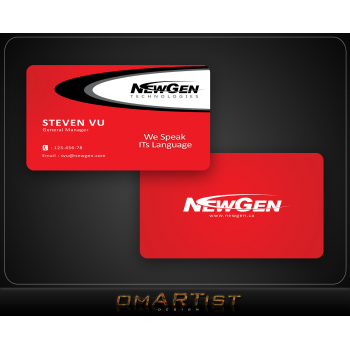 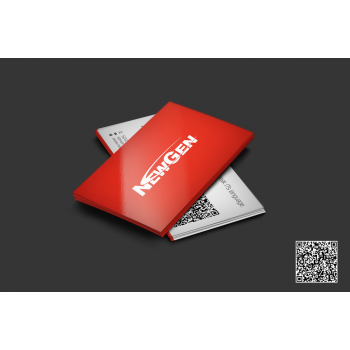 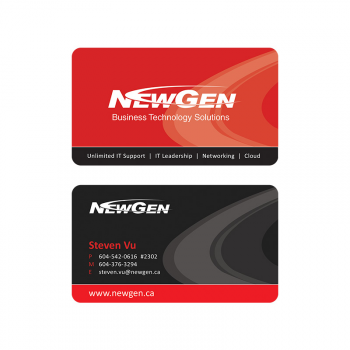 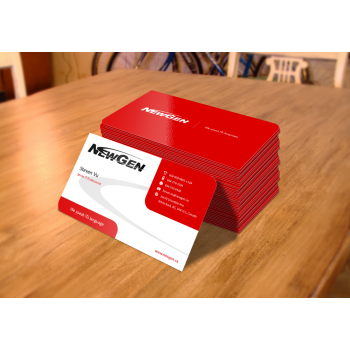 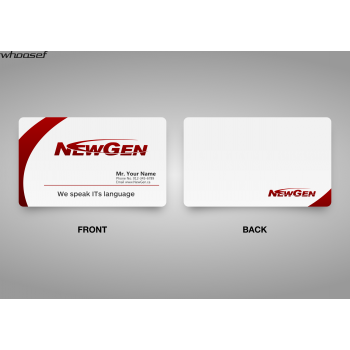 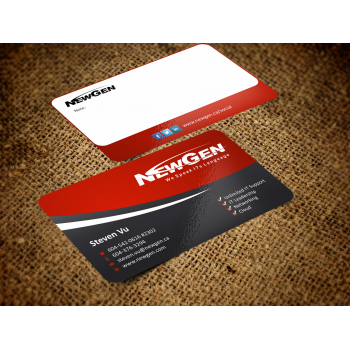 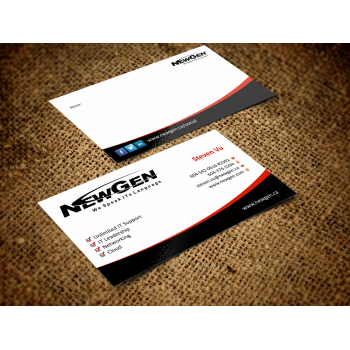 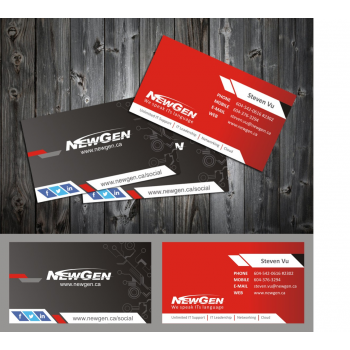 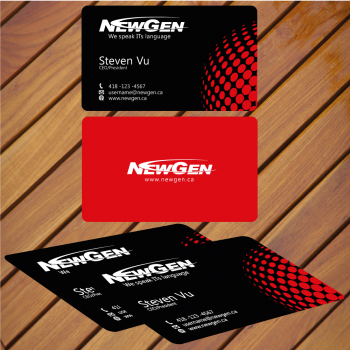 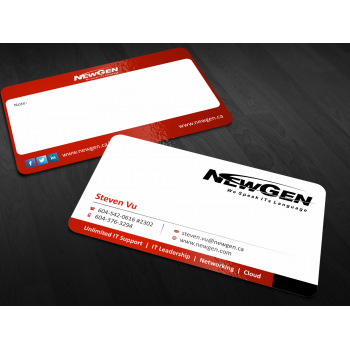 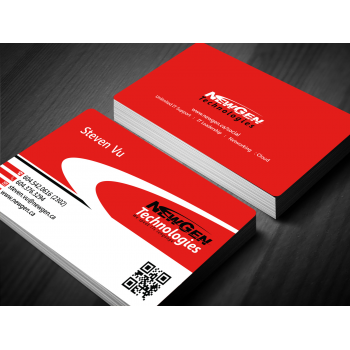 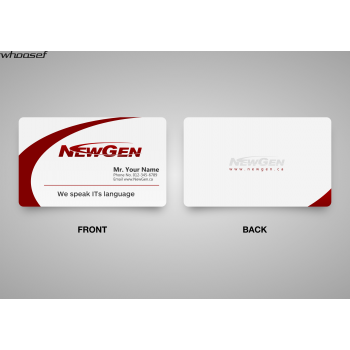 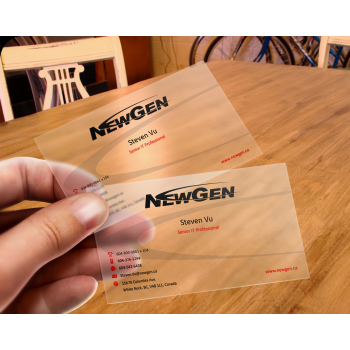 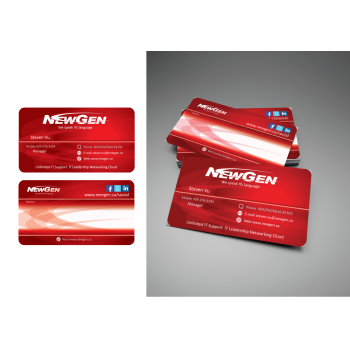 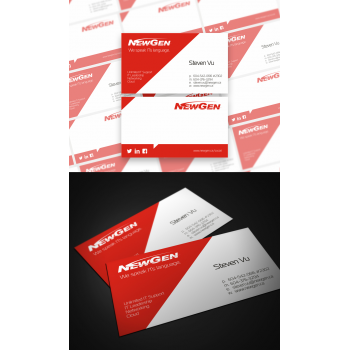 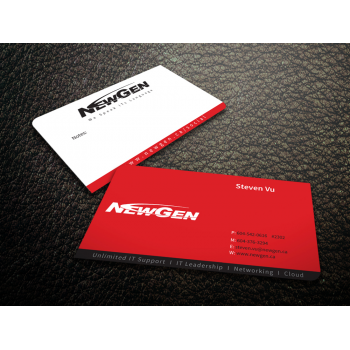 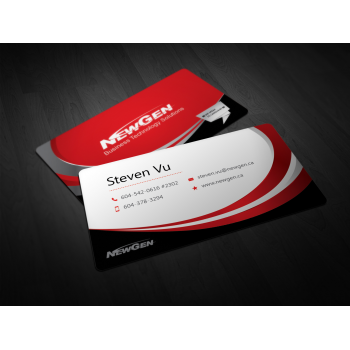 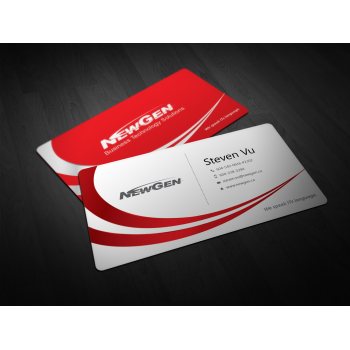 NewGen Technologies is an IT Support company that offers unlimited support at a flat rate (rather than hourly). 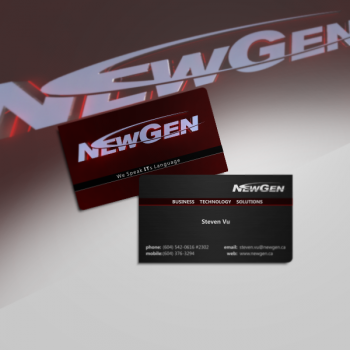 Hiring NewGen is like hiring an entire IT Department, which includes Project Planning and IT Leadership. 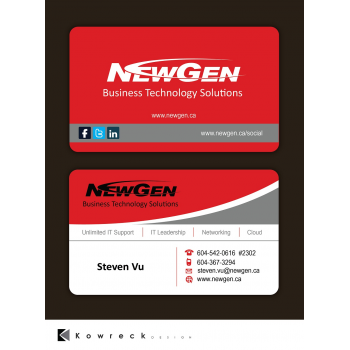 We mostly partner with non-profit but we help businesses in other industries also. 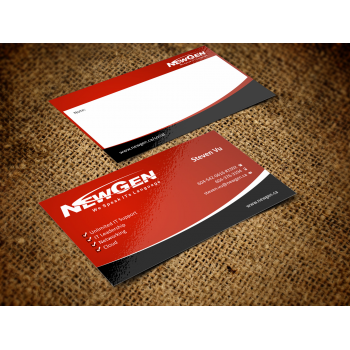 We direct our marketing to non-profit organizations leadership teams. 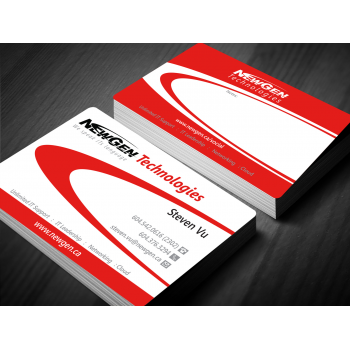 Their limited resources make them a great match for our flat rate support. 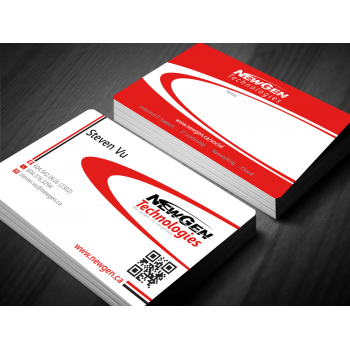 We especially appreciate pairing with organizations and businesses that are passionate about implementing positive change in their communities. The majority of Executive Directors are aged 40 and up and majority of personnel are women. 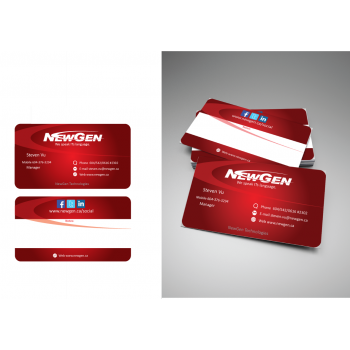 We want our materials to impress upon viewers that we are both Competent and Approachable. 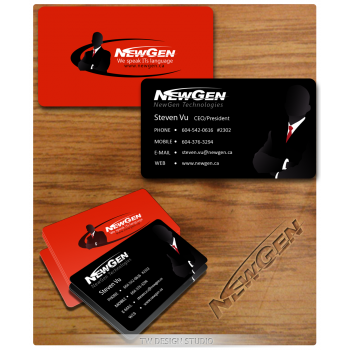 Those are the two key aspects of our company that are to be embedded in everything we present. 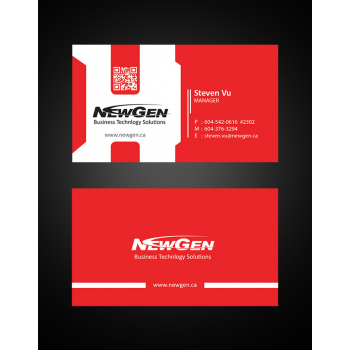 Our logo, our slogan, “We Speak ITs Language”, and our company colours: red, black, and white. 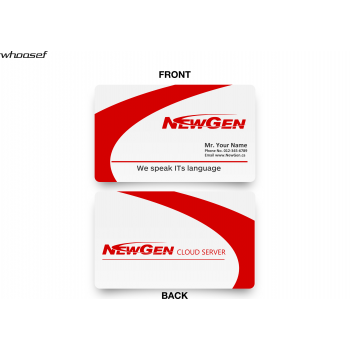 Using charcoal gray is also fine. 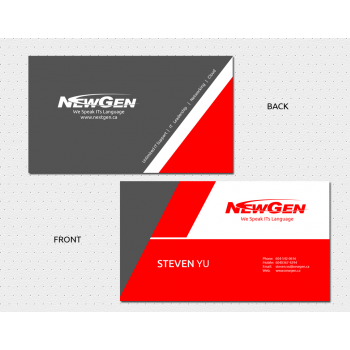 The code for colors are in the brand guide we uploaded. 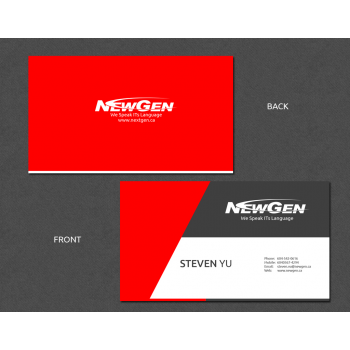 Standard size at 3.5 inches by 2 inches. 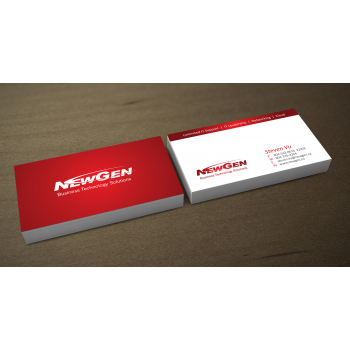 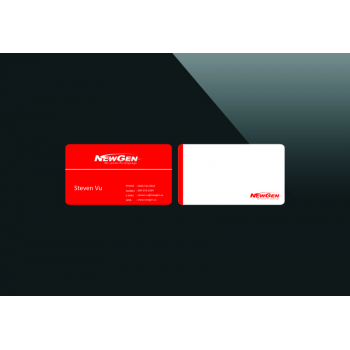 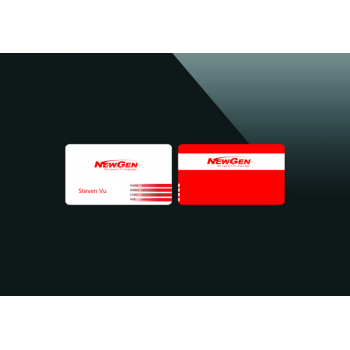 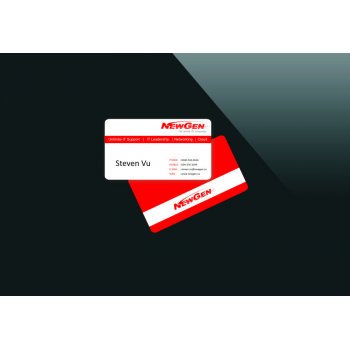 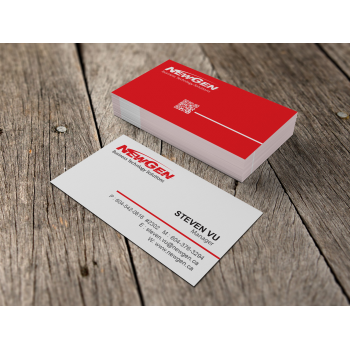 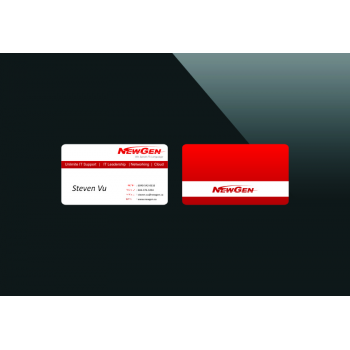 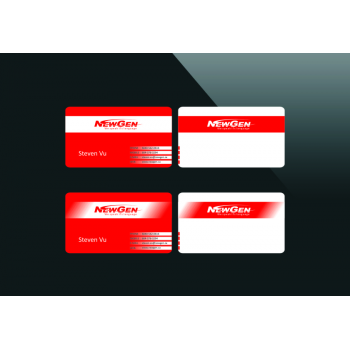 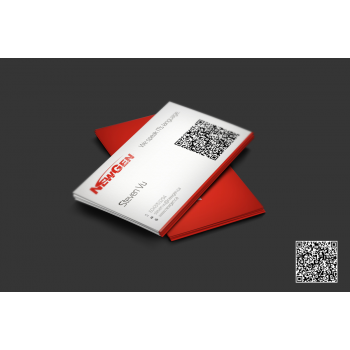 Open to different formats, though we have a preference for rounded corners. 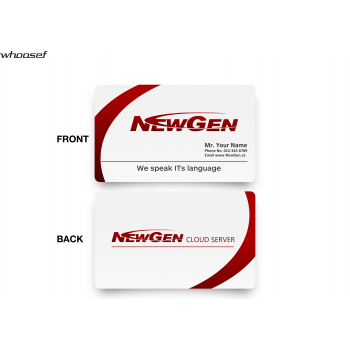 • Our slogan: We speak ITs language.